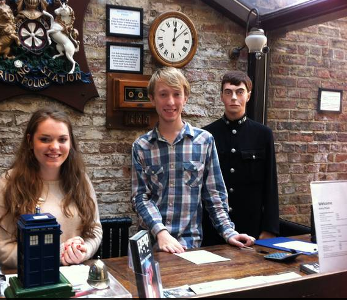 This is a fantastic opportunity to join our team of friendly and enthusiastic volunteers who welcome visitors from far and wide to the 3 unique Ripon Law and Order Museums. You will be playing a vital role in keeping the museums open and operational so visitors can learn and enjoy their experience. •	Opening and closing the museum at the beginning and end of the session. •	Giving information to visitors and helping them to enjoy their visit. •	General tidying and cleaning of the reception are/museum as required. •	Cashing up the daily takings if required at the end of the session. •	General administration tasks if able and appropriate. •	Working with other volunteers and staff. •	Reliable, punctual and energetic! •	Valuable work experience within a heritage and customer focused ebvironment. •	The opportunity to upskill IT.